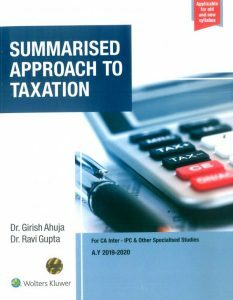 Most of the Topics in this Book have been presented in the form of flowcharts and time-charts. CA Munish Bhandari is a first class graduate from Delhi University. He passed both the Groups of CA (Intermediate) and CA (Final) Examinations in First Attempt. He is a qualified Company Secretary also. 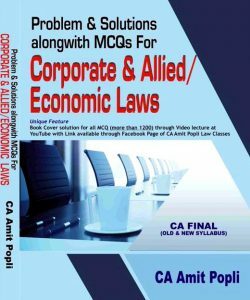 His Books for CA Intermediate (IPC) and CA (Final) have always been the ‘Favorites’ among the Students. 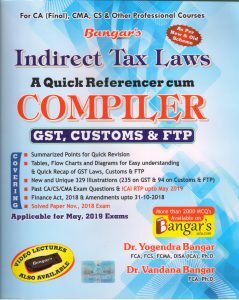 The Handbook and the Question and Answer Book written by him have been the bestsellers since their launch(A unique Book in Tabular Format). 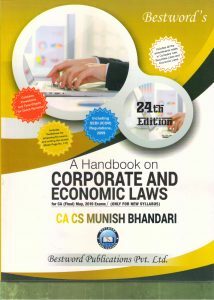 CA Munish Bhandari has been teaching Business Law and Corporate Law in Delhi since last 12 years. 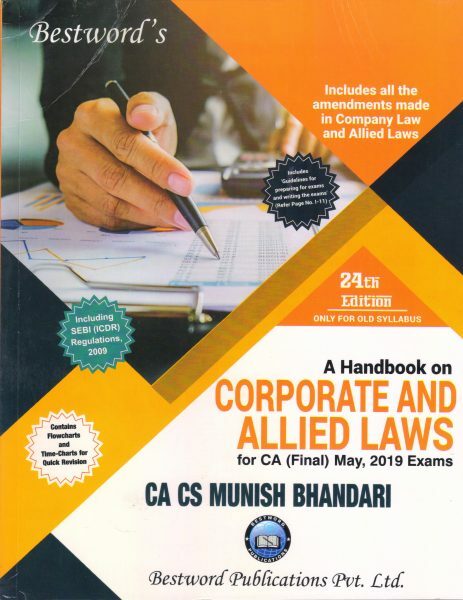 The knowledge, teaching experience and expertise of CA Munish Bhandari helps the students in developing a thorough understanding of law and excel not only in exams but also in practical life. 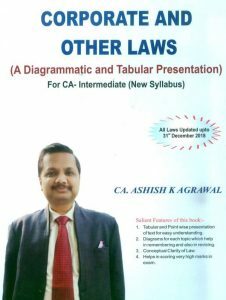 He has specially designed a Workbook for the students attending his classes. 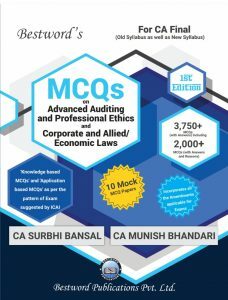 The cover ageing the Workbook and his classes is very comprehensive including Interpretation of Bare Act, Solving self-created examples and Illustrations, Fill-ups, Making Flowcharts and Answering Practical Problems asked in past CA Examinations.